It’s always nice to finish a task, a project, meet a deadline or cross the finish line – no matter how big or small the victory or project is. In architecture, reaching the finish line takes a good deal of patience. A house could be designed and constructed in a few months, while a sports stadium or hospital might take five or six years to complete. 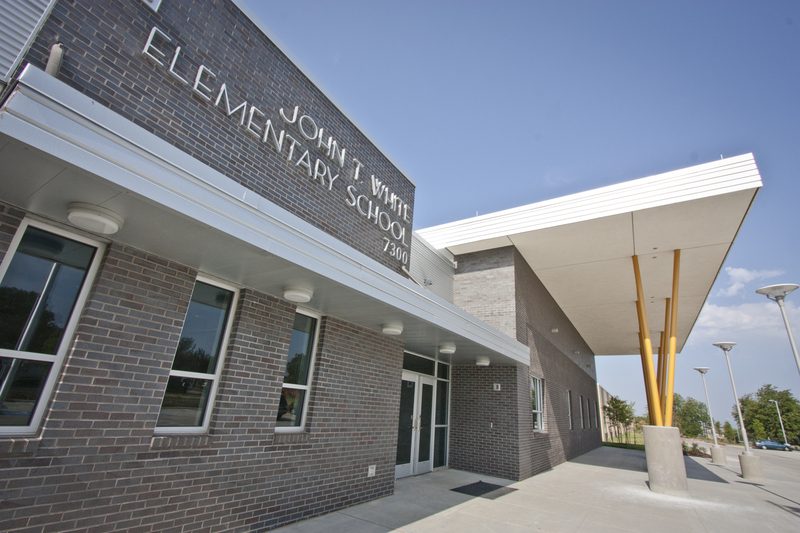 On August 10 I attended the ribbon-cutting ceremony for John T. White Elementary School in Fort Worth, Texas. The event concluded more than 20 months of planning, designing and building. 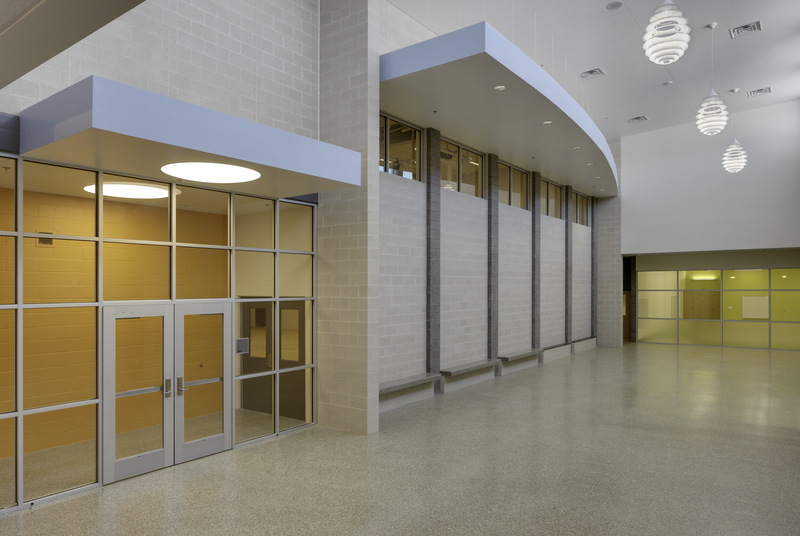 The school was designed to educate up to 650 students at a time and will be a CHPS Verified school pending the final review. (CHPS – Collaborative for High Performance Schools – is a sustainable rating system focused on schools and indoor classroom quality)). Like any project, the school had its share of late nights on the drafting table and long days in the hot sun with dirt of the job site. All seems worth it now as the impact of the project can already be seen and felt. 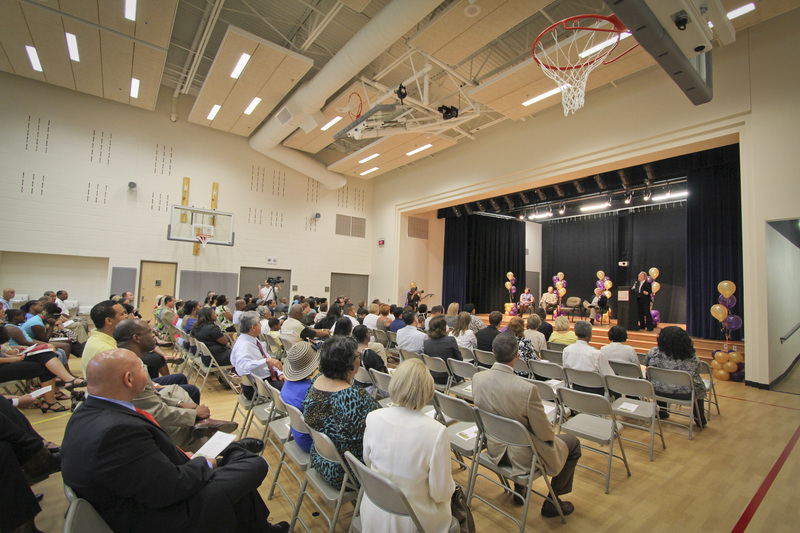 The ceremony drew more than 250 interested people, including staff, teachers, parents, and children. There were brief and sincere comments by Ms. Tobi Jackson (FWISD Board of Education), Mr. Walter Dansby (Interim Superintendent) and Ms. Joann Dickerson (JTW Principal) about the neighborhood, the project team (AECOM, BRW Architects and Yates Construction), the future of the school and the unveiling of the school mascot, The Titans. The public was then invited to tour the building and enjoy refreshments in the cafeteria. I always enjoy seeing and hearing the reactions people have to a building, whether I played a part in it or not. The reactions to John T. White were positive, and, as teachers were finding the rooms they will teach in, I even caught a few jumping for joy in the classrooms. 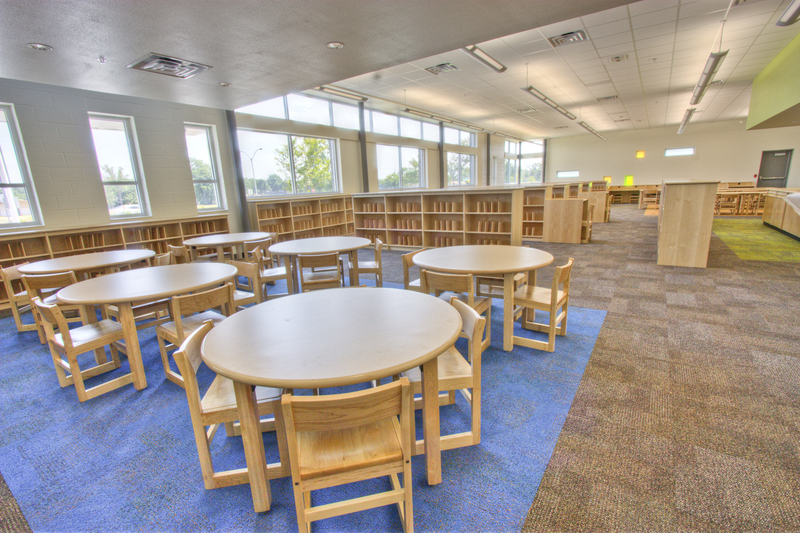 One teacher was nearly in tears for the positive change to the learning space the students would have access to. I never saw the places they taught before, but I gathered that this school is a huge upgrade for many of them. I pointed out a few design features I thought they might enjoy, day-lighting sensors, classrooms specific temperature control, operable windows, etc. Perhaps not overly impressive features, but to those teachers, they were immense. I had several people shake my hand and thank me for the work I did. I never feel quite deserving in those situations. So many people are a part of the process: designers, drafters, engineers, masons, and roofers. I hardly feel justified taking credit for the work of so many. I do, however, hope that the work of all those people plays a role in the children that pass through the halls of this school. I hope that this school helps the teachers to teach and the students to learn. I hope that this school is one of the best rated in the neighborhood because the teachers and parents are engaged in the students’ lives. I hope that this school can be a great foundation for the education of children for years to come.